According to our survey one of the top five mistakes people do in English grammar include mistake in understanding i.e and e.g. People get confused to use which short form and when to use it. Sometimes people right the wrong abbreviation. So let me clear your head from the confusion between i.e and e.g. Summary: Difference Between i.e and e.g is that E.g is a Latin word which stands for exempli gratia which means (For Example) and it is different from the word i.e. While I.e is also a Latin word stands for id est which means (That is). What do I.e and E.g mean? 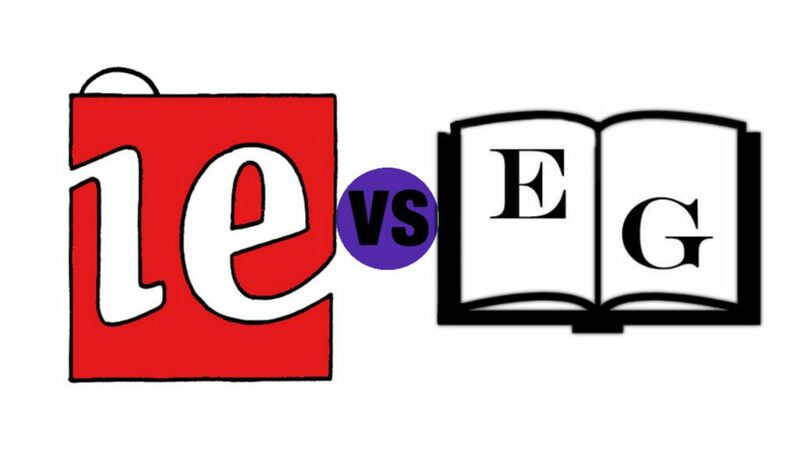 E.g and I.e they both are the abbreviations that are used for latin terms. I.e is also a latin word stands for id est which means (That is). E.g is a latin word which stands for exempli gratia which means (For Example). E.g is a latin word which stands for exempli gratia which means (For Example) and it is different from the word i.e. I.e is also a latin word stands for id est which means (That is). We mostly get confused while using these words. Just keep reading and i promise you won’t ever mix up these words (i.e and e.g) again. Requires a comma after the second period in these abbreviations. Both abbreviations i.e and e.g should be followed by comma. Write I.e. and e.g. in lowercase when they come in the mid of a sentence. In normal use there’s no need to italicize e.g. and i.e. English speakers typically italicize words and phrases from foreign languages when they are new to English, but i.e. and e.g. have been in English for hundreds of years, so they now go unitalicized. The users of American English frequently put a comma after i.e. and e.g. The standard discount applies; i.e., 40%. Some staff (e.g., Johnny and Smith) are on leave. This comma is omitted by the users of British English. E.g and I.e Stands for? E.g stands for exempli gratia which means (For Example). I.e stands for id est which means (That is). I’ll listen to anything, e.g., country-western, rap, light jazz, rock. (Country-western, rap, and light jazz are just a few of the many types of music that I’ll listen to). It happened in November, i.e., two months ago. There are 7 colors in the rainbow, i.e., red, orange, yellow, green, blue, indigo and violet. For example root vegetables; i.e., the one that grows underground. In other words, i.e. means “.” It’s used to provide an alternate explanation.